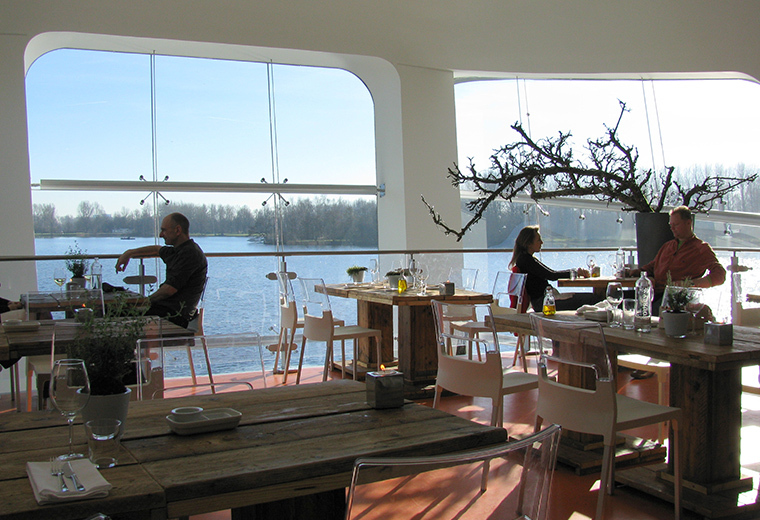 The Vork en Mes restaurant is housed in the Haarlemmermeer pavilion. This unique building from 2002 was the winning project of an international competition for the Floriade. 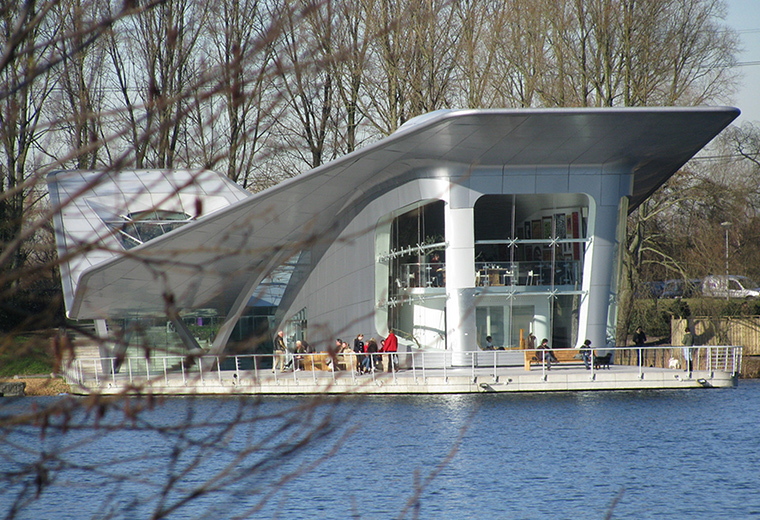 The building was to be removed after the Floriade, but due to its lovely architecture, it was decided to leave the pavilion in place. Vork en Mes not only offers excellent dining, but is also a popular wedding location and can even be reserved for small meetings. Since the pavilion was to be demolished after the summer, more attention was paid to its appearance than its durability. This included the use of single glazing and a building that is far from airtight, making climate control exceptionally difficult. The uncomfortable indoor climate made it impossible to receive guests in the pavilion during winter without having to make extensive changes to the structure. Climotion offered the perfect solution for creating a comfortable and energy-efficient indoor climate all year round. The Municipality of Haarlemmermeer and both staff and visitors to the Vork en Mes restaurant are very enthusiastic about the Climotion system. Large glass surfaces, high wind loads, single glazing and yet a good indoor climate – thanks to Climotion.